The Los Angeles Kings have activated forward Tyler Toffoli from injured reserve, Kings President/General Manager Dean Lombardi announced on Feb. 4. The 6-0, 201-pound native of Scarborough, Ontario appeared in 32 games earlier this season with the Kings, recording 20 points (8-12=20), a plus-14 rating and 16 penalty minutes. He missed 20 games due to a lower-body injury. Selected by the Kings in the second-round (47th overall) of the 2010 NHL Entry Draft, Toffoli has appeared in 262 career NHL games, collecting 161 points (76-85=161), a plus-98 rating and 85 penalty minutes. 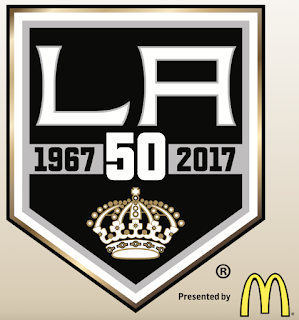 The Kings begin a four-game road trip on Feb. 4 against the Philadelphia Flyers at 10:00 a.m. The game will be broadcast on FOX Sports West and KABC Radio 790.